Farmhouse sink. Belfast handmade single bowl stainless steel sink – A hand welded work of art inspired by the Seba sink in farmhouse style. Belfast has widened edges and full depth front for the ultimate look. Fitted with ABI’s water-sense cushion system to dampen the sound of water impact during use. Sinks are hand welded using a 10mm radius weld to all perimeters of the sinks and folded drainage points ensures the end user experiences the pinnacle of practically for cleaning and avoiding gunk, water & mould building up in all corners of the sink. Farmhouse sink – Belfast handmade single bowl stainless steel sink – A hand welded work of art inspired by the Seba sink in farmhouse style. Belfast has widened edges and full depth front for the ultimate look. Fitted with ABI’s water-sense cushion system to dampen the sound of water impact during use. 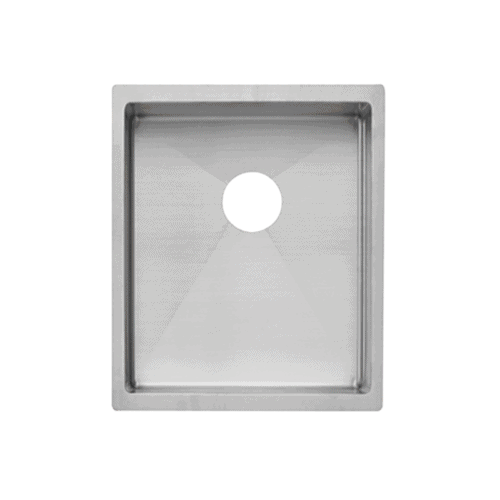 Sinks are hand welded using a 10mm radius weld to all perimeters of the sinks and folded drainage points ensures the end user experiences the pinnacle of practically for cleaning and avoiding gunk, water & mould building up in all corners of the sink.